Since midnight of 02.15.2015, there has been a sharp decline in tension in the conflict zone in Donbas. Isolated shelling by Russian-terrorist forces has been observed (about 10 attacks, mostly – in the direction of Debaltseve and Luhansk). Gangs and units of Russian armed forces currently do not undertake active offensive operations. Throughout 02.14.2015, a record number of attacks were recorded – about 170. Eery quiet of Minsk 2 ceasefire night of Feb. 14th. However, during the past 24 hours, an active regrouping of enemy troops has been observed. In particular, Russian-terrorist troops transferred a fresh tactical group (up to 20 tanks, 10 ACVs, and 200 personnel) to the vicinity of Lohvynove. A tactical terrorist group operating in the area was previously defeated on a stretch between the settlements of Nyzhnje Lozove and Lohvynove (with 3 armored vehicle units destroyed). 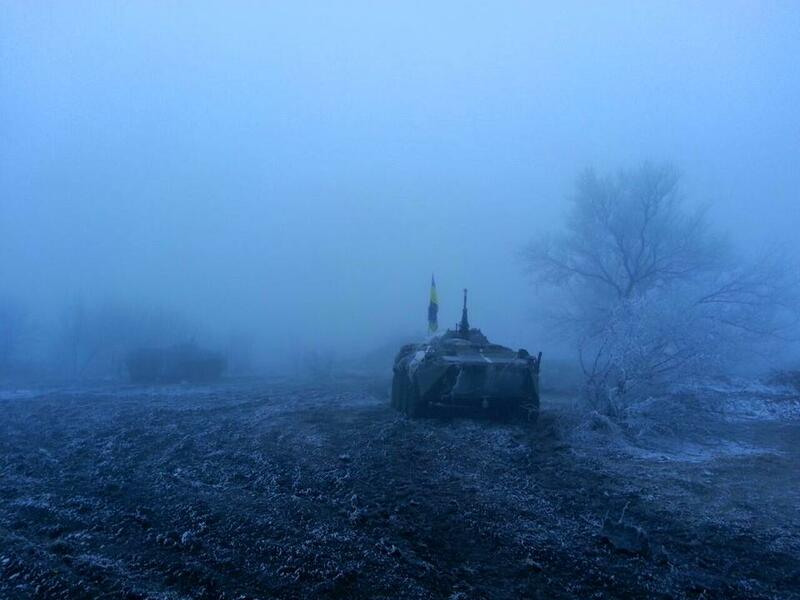 In the afternoon of 02.14.2015, a full-scale engagement of tank and mechanized units of Ukrainian troops meeting the Russian armed forces took place on a stretch of Nyzhnje Lozove – the northern suburbs of Novohryhorivka. Practically speaking, the battle did not bring a convincing victory to either side, but the enemy eventually stopped trying to assault Lohvynove, leaving this settlement a “neutral” [territory]. In the afternoon of 02.14.2015, the convoy of a tactical group of Russian-terrorist troops that was crossing Debaltseve around its perimeter came under the attack of Ukrainian artillery. A tank and 2 “KAMAZ” [cargo trucks] have been destroyed. After the shelling, the convoy continued to move (up to 25 vehicles drove in a “broken up” procession, including 5 tanks) – the destroyed tank and the remains of vehicles were abandoned. The enemy continued transferring reinforcements to the Shyrokyne village area yesterday, trying to “isolate” the offensive by Ukrainian units along the stretch of Shyrokyne – Sakhanka (the transfer of an infantry formation from the vicinity of Bezimenne has been observed ­– over 100 people, 5 armored vehicles and up to 20 motor vehicles). As the main “containment” instrument, the enemy used barrel artillery and MLRS. Two artillery enemy groups were observed, which fired at the settlement of Shyrokyne and advanced positions of Ukrainian troops on 02.14.2015. Yesterday, both sides actively used armored vehicles in the area of Shyrokyne. 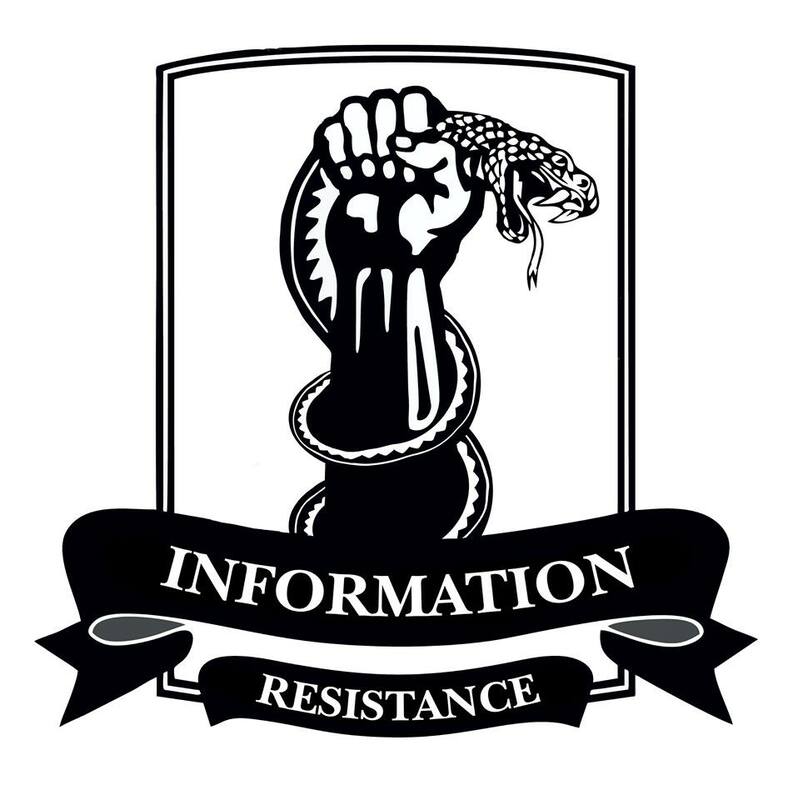 In the vicinity of Stepne, a tactical group of Russian-terrorist forces (as reported by the IR group, this tactical group was transferred earlier to the area of Dokuchajevsk – Olenivka) attacked advanced positions of Ukrainian troops with armored vehicles throughout yesterday. The enemy came under the adjusted fire of Ukrainian troops’ anti-tank weapons, that were earlier placed afield and disguised; later, a Ukrainian artillery group barraged the area. As a result, at least 4 units of enemy armored vehicles were destroyed, and the enemy troops moved back to the starting line. Another convoy (about 5 transport units) with wounded terrorists (about 200 people, the majority are Russian mercenaries and soldiers) has arrived to the settlement of Krasnyi Luch. The majority of mercenaries are the recruits of Russian intelligence services –Russian citizens who had no previous experience in the military. A convoy with insurgents wounded near Novoazovsk arrived in Donetsk (the motive behind such transportation is unclear, since the evacuation from Novoazovsk to Russia, which took place earlier, is more convenient and safe). This entry was posted in Dmitry Tymchuk, English, English News, South&Eastern Ukraine, War in Donbas and tagged #FreeSavchenko, #RussiaInvadedUkraine, #StopRussianAggression, #UkraineUnderAttack, Dmitry Tymchuk, Information Resistance, Minsk 2 ceasefire, Ukraine. Bookmark the permalink.